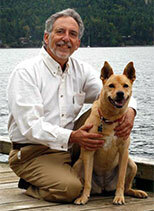 Animal Companions offer Psychological Benefits: Of Course! It is wonderful to see the studies mounting up that continue to further document the health benefits of our animal friends. This recent study documenting that pets offer psychological benefits seems like a no brainer to me! Duh! Of course they do! The benefit of these studies are that each one continues to accumulate further documentation that the happiest, healthiest future includes humans sharing their lives with animals. The great Harvard entomologist, E.O. Wilson proposed that their is an innate need for humans to share their lives with other living beings, which he called “biophilia”. This is why we share our lives with them. This is why there are more multi-species households in the U.S. than not. This is what I wrote about in my “Kindred Spirits”. They offer us psychological benefits in prisons, schools for the emotionally challenged, senior citizen homes, orphanages, and wherever people are yearning for unconditional love at very deep levels. I remember a statement by a colleague of mine, Dr. Larry Dossey that I paraphrase frequently “If there was a pill that had all the documentation on the health benefits of animals for people, it would be the best documented and most desired medication on the market”. 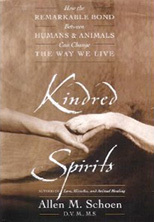 Perhaps we can now develop non-harmful, ethical, humane studies documenting the health benefits of living in a multi-species world that is based on loving kindness and compassion for all beings. Now that would be a great study that could lead to profound, happy outcomes! 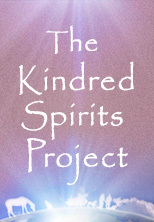 Perhaps, that is what we can create through the kindred spirits project. If you have ideas on how to create such a study and would like to co-create a study like this, let me know and let’s create it. Perhaps the study would be actually creating such worlds, little microcosms of loving compassionate multi-species communities. Perhaps some exist already. Do you know of one? Let’s have fun creating one!